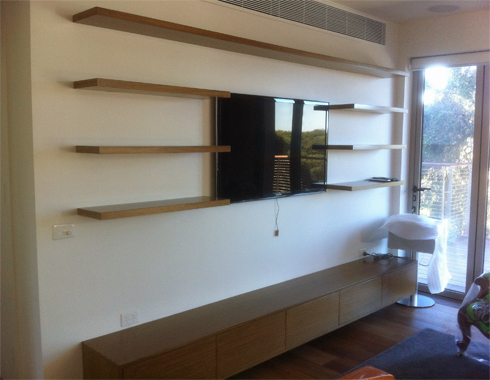 This entertainment setup is entirely suspended through internal fixings and creates a striking appearance. 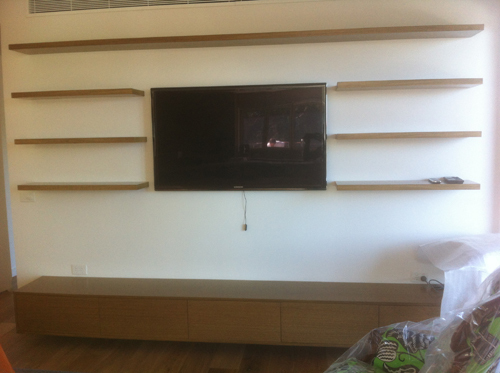 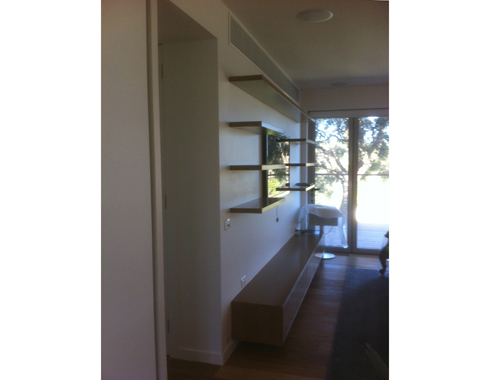 Metal supports were installed in the wall at frame stage with the shelves and entertainment unit fitted after plaster and paint was finished. 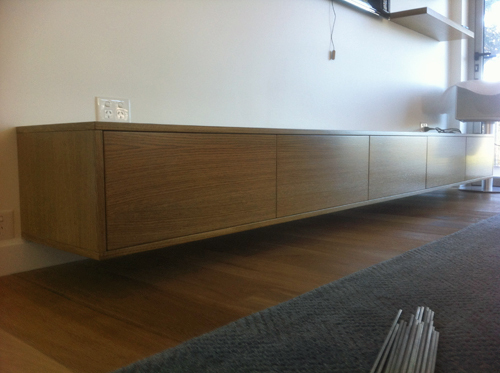 The American White Oak veneer is a rift cut to ensure a consistent, straight grain and has been finished in a custom smoked stain and 2 pack satin lacquer to match the timber floor.